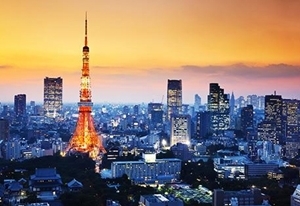 “We are proud to be a Japan- specialist travel company with the head office in Tokyo, contact office in Canada and Europe contact office in Germany. Offshore office in Hanoi, Vietnam services as a support office in undertaking efficient business operations in Marketing, IT and FIT enquiry. 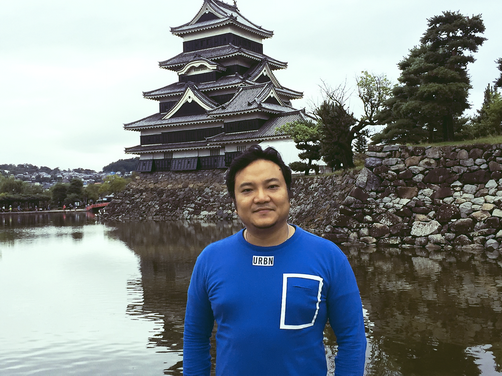 Our company is headed by Pankaj Pradhan, a dynamic industry expert with true passion for Japan, who genuinely believes in cultivating sustainable business practice. We are passionate about what we do and our mission is to spread the “Beauty of Japan” to the world and bring an extraordinary experience of Japanese culture in a responsible way. We hope to share our genuine local experience, and our everyday inspiration to live and breathe Japan by crafting a rewarding journey for you. Flawless nationwide network with local stakeholders, enthusiastic and knowledgeable guides, coupled with a passionate internal team, we believe you’ll have an unforgettable travel experience while traveling with Beauty of Japan Tours. We live and breathe Japan! This tour was truly magical and unique experience. We loved the green tea tasting and sea-food barbeque was delicious. The tour guide were very kind and knowledgeable about the area and we were very humbled to learn about the impacts of the tsunami. We highly recommend this tour and hope to visit the area again. We had the best time ever with Taka-san, the best bar guide ever! We really wanted to explore the Izakaya scene but we weren’t sure how and where to start, considered we speak no Japanese at all! Taka took us to three places, all super local and serving yummy food! One of them was a sake bar. Who knew sake could be so delicious? A really fun night out, highly recommended! We wanted to tell you that Aya was a wonderful guide. She was so patient and knowledgeable. We really feel very lucky that she shared her day with us. I would highly recommend her to anyone! Thank you very much. We have a small selection of the tours we can offer on our website which can be found here. For more information about tours please contact us. 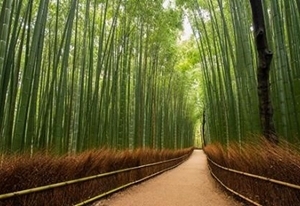 When you want to see more of the tours of Beauty of Japan please check here. 1. How did you end up working in the tourism industry? We grew up sighting the travellers visit our country from our back-yard. It had been in our genes to welcome clients from all diversity to showcase the actual façade of our culture, values, and history. Thus, there was only one vision and mission to fulfil this, by being part of the travel industry. 2. What inspired you to start this company? Since past few years, Japan has been getting lot of attention from the travellers due to its uniqueness. As the visitor numbers had been increasing significantly, we felt that actual beauty of Japan has been missed out to be presented. Therefore, our commitment started with the simple steps to offer ‘somewhat different’ experience that our clients will remember while traveling to Japan, and not only the popular sights. Our first sale was rather very easy. We were so excited while putting itinerary together that our partner felt the genuiness and passion in the way we had crafted a very personal program for their clients. Without much hesitation clients accepted our offering, and we had our first sale. What hasn’t changed since our first sale until now is the same level of passion and enthusiasm that we put in creating a program by showing the beauty of Japan. 4. What was your first tour like – and what has changed compared to your most recent? Our first group was from Europe, we worked very hard to make sure that we offer the great experience from Sales to Operations process. Our team worked tirelessly and with lot of excitement. It was successful tour. We as well learnt a great deal and when looking back, it gives us immense pleasure. Our team is young and dynamic and we review the success and failures after every single trip to improvise for next. 5. What part of the company are you most proud of and why? Our dynamic approach, being able to think out of the box, flexibility in how to serve our clients and most importantly our passion to show the real Japan. 6. What do you feel sets your company apart from other DMC’s? Our unique product offering, it could be very small but significant to feel the difference while traveling to Japan. Our open and swift communication with our partners. Transparency in our working approach. Most of all, our commitment to work with local communities while conducting business in a responsible way. 7. What does a standard working day look like for you? Meeting with team, inspiring them to work with passion and full customer centric mind set. Reviewing the inquiries from our partners and making sure there is love and attention put in every single proposal that is being submitted. 8. What gets you out of bed in the morning? Every-day the excitement starts with listening to the feedback, comments, remarks from our clients. Though they are not always positive and upbeat, what gets us going is to be in a position to listen to them well and work hard to improvise. 9. What keeps you up at night? After a well productive, learning, inspiring days (most of the time), nothing keeps us up at the night. We look forward to another bright and sunny day ahead and wish for it. 10. What other CEOs do you look up to and why? There are number of CEOs in the industry who we look up high, without naming in person, we admire some of them because of the continuous commitment to the Industry and not only their individual company. Also, their dedication in creating opportunity to the young leaders, while driving the ethos of sustainable/ responsible business practice in a simple ways and truly inspirational. 11. Where do you see the company in 5 years? We would like to be able to cater to more discerning travellers, expand our Sales/ Customer service network in Europe, North America and Australia. Provide opportunities for our employee to grow in their role and develop a new set of leaders in the travel industry in Japan. Address: 34B Shehyn Lane, Ottawa, Ontario, K2G5G8.